A cultural revolution is underway across the western world – and our shared meanings and values are being shaken apart with titanic force. Yet God in His wisdom has set foundations on which our lives are to be built, shaping both our public and private values. In this presentation Ravi examines and responds to the challenges facing these foundations within modern culture. 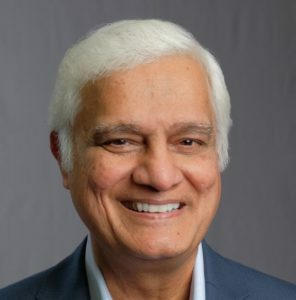 Ravi Zacharias has spoken for 44 years in universities and in public forums all over the world – from the opening of the United Nations General Assembly to the White House, and has spoken to the seats of government in England, Canada and the U.S. He has authored or edited over twenty books and his weekly radio program airs on 2337 outlets worldwide. For a full bio – including a list of his books – visit RZIM here. The evening will be introduced with a TED-style talk by Mark Powell, who will speak on The impact of Faith on Business and Leadership. He will unpack how we all have a faith from which we get our values – and how such faith links to modern business and leadership in more ways than you might think. 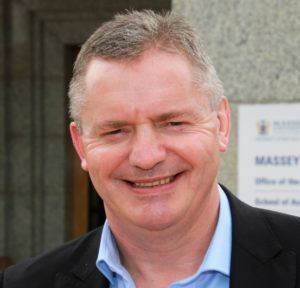 A popular New Zealand business leader with more than 30 years executive experience, Mark is best known for his role as CEO of the Warehouse Group, an iconic New Zealand retailer. The evening will be MC’ed by popular Christian radio talk-back personality, motivational speaker and leadership coach John Peachy. Ravi is a dynamic and fascinating speaker who Thinking Matters is hosting for this once-only Auckland event you won’t want to miss. Please let others know! IMPORTANT INFORMATION: We have very limited seating for this event. Please see details here. SIDE NOTE: Ravi will also be conducting a series of events in Dunedin from Sunday 26th February until Thursday 2nd March. You can check out details of his Dunedin events here. 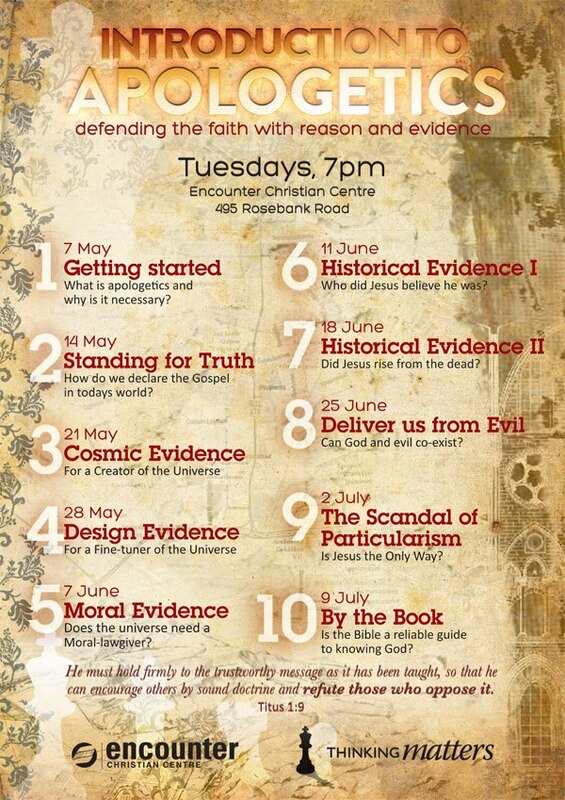 Auckland Event: Discussing The God Delusion and Has Science Buried God? Format: DVD screening interspersed with discussion. When: 7.30pm Mondays (beginning on the 3rd of February). Where: 15 Sainsbury Road, Morningside, Auckland. For more details contact Gerald at gerald@gzv.co.nz or call him on 027 2468 218.
http://thinkingmatters.org.nz/wp-content/uploads/2018/12/Thinking-Matters-Logo-MEDIUM-BLACK-TRANPARENT-1030x278.png 0 0 Jason http://thinkingmatters.org.nz/wp-content/uploads/2018/12/Thinking-Matters-Logo-MEDIUM-BLACK-TRANPARENT-1030x278.png Jason2014-01-07 21:48:212017-10-10 19:25:01Auckland Event: Discussing The God Delusion and Has Science Buried God? This year I have been running a beginners course on introductory apologetics. By popular demand, I am running this again during the next school term beginning Tuesday, 30 July. There are no course fees. Your only expense is the course textbook. All are welcome, even those who are sceptical about Christianity. Each lesson can be understood by itself so feel free to come to any night that interests you. However, to get the full benefit and see the cumulative case develop attending all in order is recommended. Much of Western culture assumes that science and faith are foes, that faith and scientific naiveté go hand in hand, and that science has disproved the Bible and made faith irrelevant if not completely indefensible and undesirable. Come and hear Dr. C. John Collins explain why faith and science are actually friends, how good faith fosters good science, and how good science should actually lead people to be more open to faith and the Bible. COST: $40 ($20 for Students). Dr C. John Collins is Professor and Chair of Old Testament at Covenant Theological Seminary. 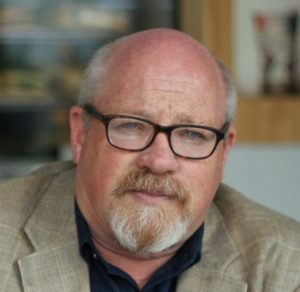 With degrees from MIT, Faith Evangelical Lutheran Seminary, and the University of Liverpool (PhD), Collins is one of the few scholars uniquely placed to address critical issues that arise in our understanding of the Bible and the world. While Collins’ early studies focused on linguistics and biblical languages, his latest work on miracles (The God of Miracles: An Exegetical Examination of God’s Action in the World), the historicity of Adam and Eve (Did Adam and Eve Really Exist? : Who They Were and Why You Should Care), and the book of Genesis (Genesis 1-4: A Linguistic, Literary, and Theological Commentary) have established him as a leading evangelical voice on the relationship between science and faith. Professor Collins has served as Old Testament chair on the translation committee for the English Standard Version of the Bible, and Old Testament Editor for the ESV Study Bible. He and his wife have been married since 1979 and have two children. What is the Bible? What authority if any does the Bible have in the 21st Century? How should the Bible shape the life of the Church and individual believers? Our approach to Scripture is fundamental to our ability to understand who God is and what he has to say to us. Come and hear Dr. C. John Collins explore the nature, authority, and purpose of the Bible in the 21st Century. COST: $20 ($10 for Students). 9.45am Session 1: What is the Bible? 11.45am Session 3: What Do We Mean When We Say the Bible is “True”? 1.30pm Session 4: How Should We Read and Interpret the Bible? 2.15pm Session 5: How Should We Preach and Teach the Bible? WHERE: Bethlehem Community Church, 183 Moffat Rd, Bethlehem, Tauranga. COST: Free – so bring a friend! In this live presentation Rodney introduces the idea of Apologetics and makes a case for why it matters in our Christian walk. He makes both a scriptural and cultural defence for the use of apologetics in the Church today and looks at its outward-facing purpose (its role in evangelism) and its inward-facing purpose (its role in strengthening personal faith) and discusses the spiritual discipline of critical thinking. He finishes up by looking at some of the reasons why our Christian youth are walking away from their faith – and the crucial role apologetics plays in preventing this disturbing trend in the Christian walk of our young people. Evil & Suffering. If God is good, why is there evil & suffering? Defending the Faith. Are you equipped to defend your faith? Only One Way. Is Jesus the only way to God? Truth Matters. What is the nature of Truth? The DVD’s are available at this special launch event for just $15 each, or you can get all four for $40 (cash and cheque only please). This is a very good price for such outstanding material so don’t miss out! If you can’t make it to the event – these Speaking Tour DVD’s will be made available for purchase online shortly. Earlier this year, I ran an apologetics course for beginners. By popular demand, I will be running this again for the next school term, beginning on May 7. There are no course fees. Your only expense is the course textbook. All are welcome, even those who are skeptical about Christianity. Each lesson can be understood on its own, so feel free to come to any night that interests you. Of course, to get the full benefit of the course and see the cumulative case for Christianity properly developed, I’d recommend attending all. We are excited to be hosting Dr Glenn Peoples in a couple of locations around the upper North Island this month. We’ll be posting more details about the full tour soon but for now here’s some info on an Auckland conference he’ll be speaking at. Are faith and reason enemies? Should we take Christianity seriously in the world of ideas? Are there any good reasons to believe in the Christian God? Join us this April as we explore these questions and more with Christian philosopher and popular speaker Dr Glenn People. The conference will also include other incredible speakers such as Dr Chris Tucker (Auckland University), Dr Shawn Means (Auckland University), Sean du Toit (Alphacrucis College), Jacqui Lloyd (Laidlaw College), and theologian Dr Matthew Flannagan. If you’ve ever wanted to dig deeper into the evidence for Christianity or confront serious questions about God and the Bible, this conference is for you. 9-10am: SESSION 1: Glenn Peoples: Why does it matter? -Chris Tucker: Why Does God allow Evil? 11-12pm SESSION 2: Glenn Peoples: Do we need God to be good? 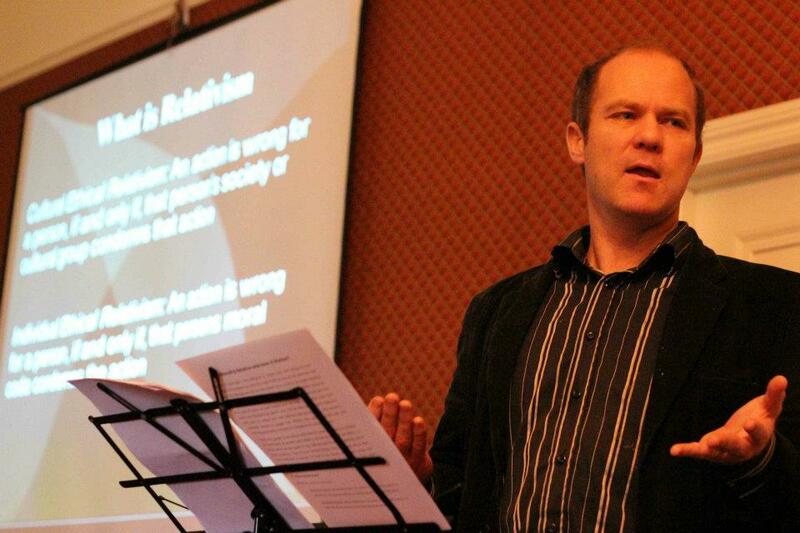 12.30-1.30pm SESSION 3: Glenn Peoples: Can we have equality without God? -Sean du Toit: Can we trust the authenticity of the New Testament Letters? -Matt Flannagan: How should we read difficult Old Testament Passages? Dr Glenn Peoples is a graduate in theology (BD) from the Bible College of NZ (now Laidlaw College) and has a Masters degree (MTHeol) and a doctorate in philosophy from the University of Otago. For over ten years he has been writing and speaking on intellectual issues that Christians face, including the place of faith in the public square, justice and human rights, and the reasons for Christian belief. Glenn runs a popular podcast and blog, Say Hello to My Little Friend, and lives in Wellington with his wife Ruth and their four children. The Christian faith seems increasingly at odds with those in the world around us. From the media, to skeptical teachers and unbelieving peers, the gospel seems irrelevant and out of date. How do we talk to others about God and the Bible? Can we really argue people into the kingdom of God? Or should we just focus on compassion and loving others? Next Thursday, Thinking Matters is hosting Christian theologian Dr Matt Flannagan to speak on these questions and more. Matt will examine the Biblical and practical evidence for defending Christianity and show why it is vital to knowing and communicating our faith in the 21st Century. Matt is a theologian and prominent New Zealand Christian commentator, debater, and blogger. He specialises in applied ethics and the interface between philosophy and theology. Currently, Matt works part-time as a teaching pastor and youth group leader for Takanini Church of Christ while he runs the popular blog MandM with his wife Madeleine. There are two aspects of Christian defence. The first deals with content, offering specific responses to particular questions and challenges. The second deals with the techniques of using this information – tactics in defending the faith – and focuses on style, strategy and method. Thinking Matters Tauranga is running a 6 week couse that covers the second aspect, giving a variety of powerful tactics and specific strategies and methods for sound reasoning, clear thinking, and a gracious defence of the Christian worldview. This is based on the small group DVD curriculum by Greg Koukl from Stand to Reason that includes discussions, role play, memory tools, games, competitions, self-assessment quizzes, and recall exercises. COST: $10 (includes 110 page course manual). RSVP: None – just turn up! We also highly recommend Gregory Koukl’s book Tactics: A Game Plan for Discussing Your Christian Convictions (check out the online reviews here) as a supplementary course text book. Copies will be available during the course for $20 each (cash only) while stocks last.